A football club is not just bricks, mortar, crush barriers and tea bars. A football club is its people, and the people are their club. Throughout its history, Abbey/Cambridge United have been blessed with passionate people working tirelessly for the common good, and some have made truly remarkable impacts on football at local and national levels. One of those was a young Irish forward called Vince Donnelly. 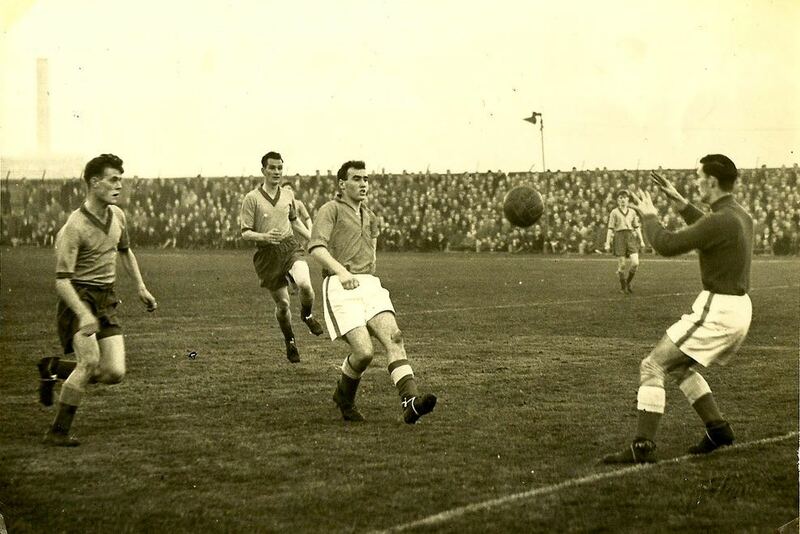 Vincent Donnelly’s impact on Cambridge United was short and sharp, but the effect of his words on the world of professional football one day in 1957 helped to change the game for ever. 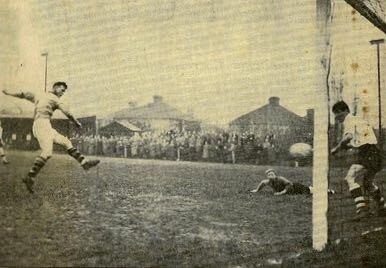 Charlton Athletic had signed Vince in 1956, after spotting the young forward playing for the Workmen’s Club of Dún Laoghaire in Ireland. He never played for the Addicks’ first team, but he did serve as their players’ delegate at a Manchester meeting of the Association Football Players’ & Trainers’ Union, soon to become known as the Professional Footballers’ Association. 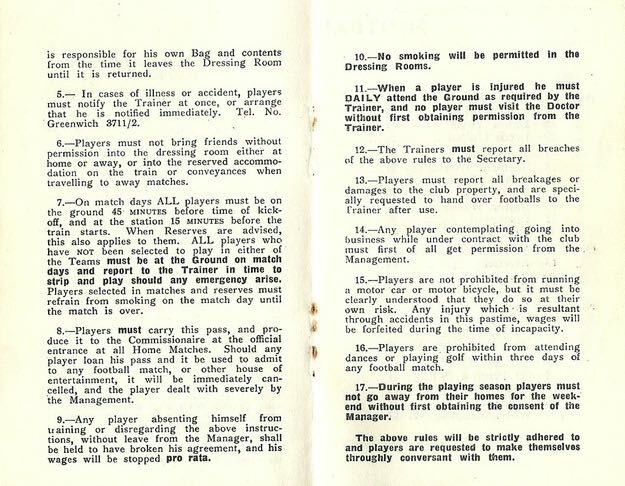 Item 10 on the agenda of the meeting, on 28 January 1957, was ‘election of officers for the year’. That’s when the trouble started. Guthrie received not a single vote in the ensuing election. Jimmy Hill became Chairman and set about modernising the PFA and pursuing the abolition of the FA’s maximum weekly wage of £20. 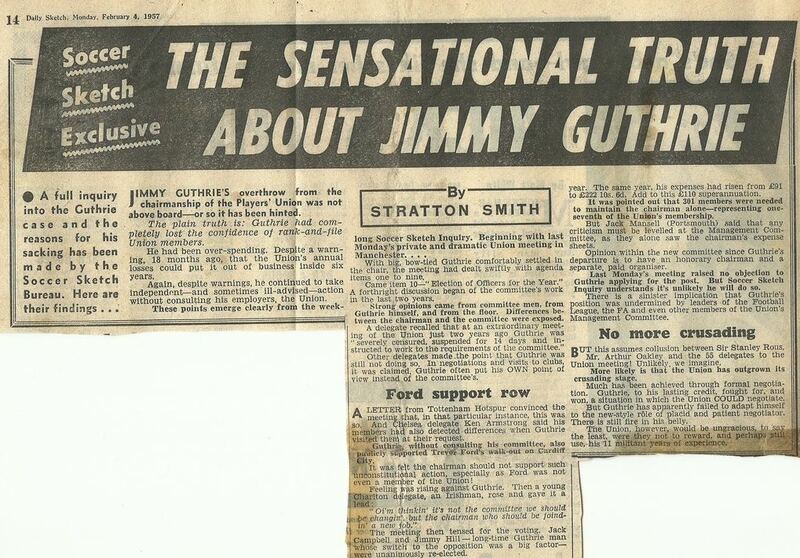 To be fair to Guthrie, it was he who had laid the groundwork for the campaign, but Hill was the driving force behind the 1961 scrapping of the maximum wage and the crowning of Johnny Haynes as the first £100-a-week footballer. Vince was only 21 when he arrived at the Abbey later that year, having had a brief sojourn at Wisbech Town, but his intervention at the meeting had prepared the ground for a revolution. 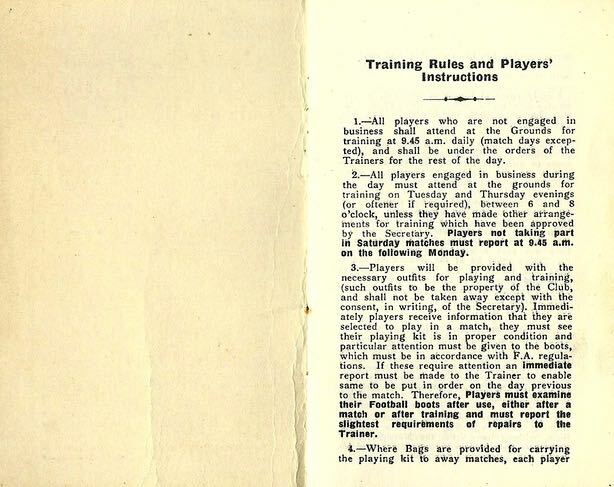 Professional footballers would soon be rewarded in the same way as their counterparts in the entertainment industry, and it wouldn’t be long before Hill’s PFA succeeded in having the retain and transfer system – under which players could be treated as little more than prisoners – declared an unreasonable restraint of trade. Above, above left and left: Vince Donnelly, whose comment at a players' union meeting helped to usher in a new era. Top: How the Daily Sketch of 4 February 1957 reported the toppling of Jimmy Guthrie. matches, which United won 9-0, 4-0 and 4-1. He then lost his place to Crane. The use of substitutes was a long way off at the time and, having played eight times and scored four goals for United, Vince didn’t play for the first team again. 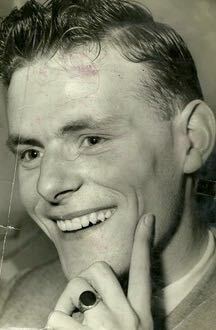 He moved on to Newmarket Town and Ely City and remained in the Cambridge area for many years, but how many people knew of his true contribution to the game? 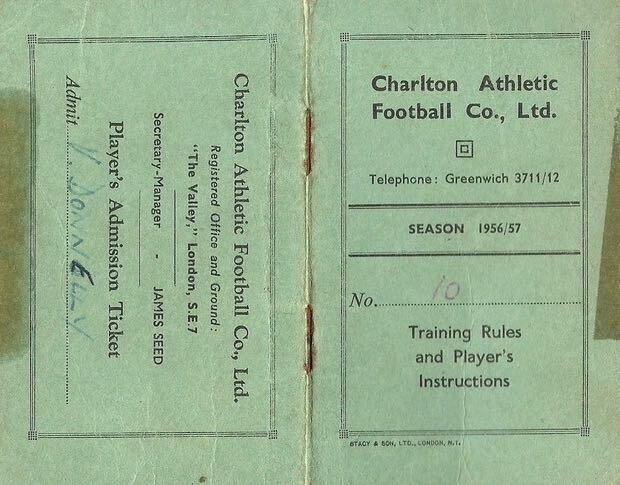 Above, right and far right: the lot of a footballer in 1956/57; Charlton Athletic's training rules and instructions for players.